Very easy to install, simply drops in place with no torquing or twisting and minimal tapping. 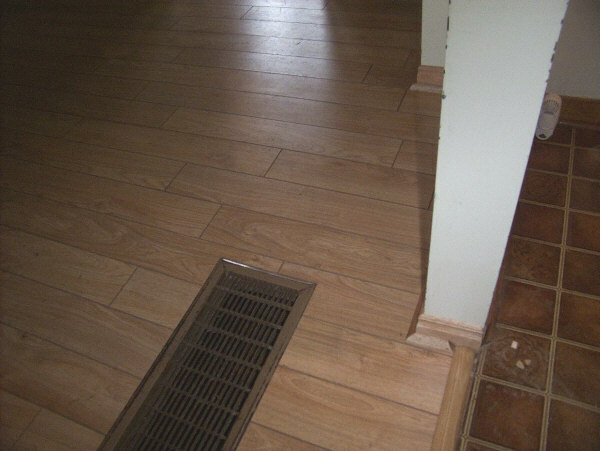 Rather than tear out all of the mahogany baseboard trim (style no longer available), the homeowner agreed with my suggestion to simply drop the flooring in place and then add quart round mahogany trim. Saved the homeowner tim and money.